Today we have Chris Stout guest blogging. Another great writer, as well as a good friend I met through Seton Hill's Writing Popular Fiction program. If you'd like to know more about the author, please scroll to the bottom of the article. First and foremost, many thanks to Alexa and all of you for allowing a thriller writer to bomb in on this blog. I'll try not to break too much stuff while I'm here. I'm a big believer in trying new things. I haven't always been this way, of course. It's hard to break out of the mindset of "do one thing, and do it really well." The drawback to that, however, is the possibility of missing out on all sorts of cool opportunities and experiences. For a writer, there are further dangers: burn-out, stagnation, boredom, feeling like you've said all you can. All of these can bring production to a screaming halt. Perhaps more importantly, the very act of creativity itself requires bringing something new to the table. Every artist strives to grow and evolve. Sometimes that means branching out onto a new path. To illustrate: I refer to myself a thriller writer. My master's thesis was a thriller. If you ask me what kind of books I like to read, I'll recite authors like MacLean, Morrell, Child and Eisler. Same with the movies: if it has stuff that blows up, I'll probably want to watch it. I always figured that if I ever were to make a living as a writer, it would be by writing thrillers. I still hold onto that goal, but I've found that some of the stories I have to tell don't fit neatly into the realm of action and adventure. So what I am supposed to do with those? The short answer, of course, is: write them. Believe it or not, I kicked against this notion for years, simple though it seems. I was convinced that writing time spent on something other than my genre was time that was wasted. 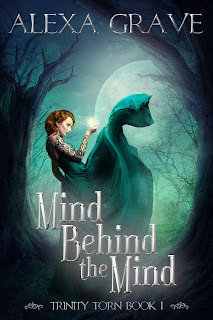 It took earning an MA from Seton Hill University's Writing Popular Fiction program to break me out of that mindset, and working towards my MFA has served as a reminder. There is a whole world of fiction to explore and be a part of. Refusing to write (or read) a story because it's "different" is purely self-defeating. In fact, my first two publications were outside of the thriller genre. One was horror, the other was fantasy. Those opportunities would have passed me by if I'd limited myself to my stated genre. Now, meandering through different genres is not without its drawbacks. These days, the publishing world is all about establishing the author as a "brand." With this branding is the expectation of consistency. If you are a writer following the traditional route towards publication, you will probably need to adopt different aliases for different genres, assuming you want to publish those side-projects. That can create its own set of headaches, and lead one to conclude that all this talk of exploration is a waste of time after all. However, even if you never publish or even write a complete work in a different genre, it can still be worth exploring. You can take notes on your travels, and adapt the techniques you discover to suit your own purposes. The tension between the lead characters in a romance, for example, can help inform the relationship you create between your thriller hero and his nemesis. The rich world building found in fantasies could help a romance writer bring the setting of her seaside town to vivid life. The heart-stopping action sequences in a thriller can help turn the sweeping battles of an epic fantasy into a tense, personal battle for the heroes. Knowledge and experience are powerful tools. They provide more than just a good feeling. As an author, you will be able to pay them forward to your readers. Take the chance and try something new once in a while. No matter what you consider to be your genre, you will enrich the stories you tell and thrill your readers with the fresh imagination that you provide. With that, everyone benefits. Thanks again for the chance to guest post here. Happy reading and writing to you all, and don't be afraid to go exploring! 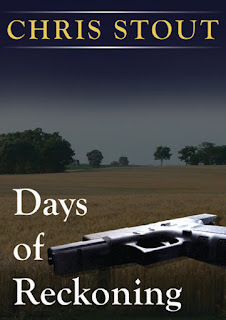 Chris Stout is the author of the novel Days of Reckoning and several short stories. You can follow him on Twitter @ctstout, or follow his blog at ctstout.blogspot.com. 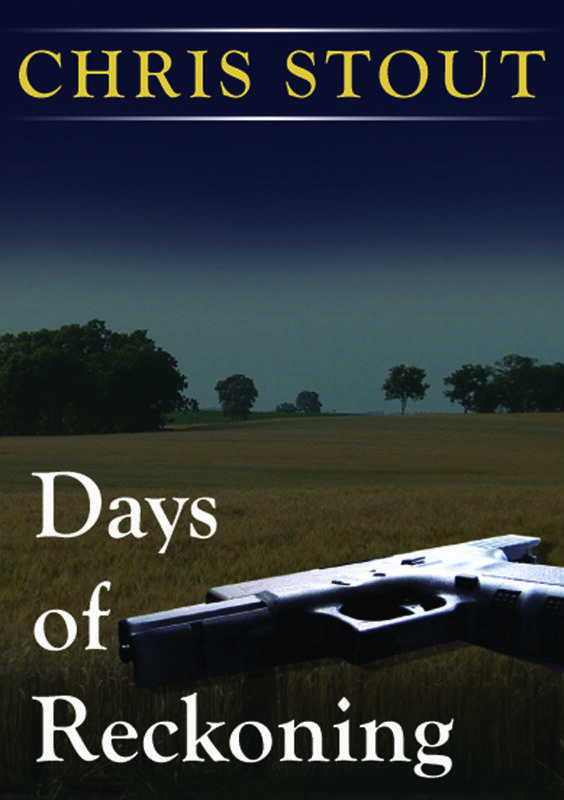 You can purchase his novel Days of Reckoning from Amazon and Barnes & Noble. If you'd like to read one of Chris Stout's short stories, you can get "Charmer" from Amazon and Barnes & Noble as well. NEXT UP: The first guest blog post in a series from contributors to Many Genres, One Craft. Rachael Pruitt is the first up! Thanks for bringing Chris to us, Alexa! And, Chris, thanks for the wonderful perspective. Like you, many genres appeal to me, both as a reader and as a writer, and I'm happily exploring them all. The 'branding' topic was a hot one at the Pennwriters Conference this past weekend, and it was C. J. Lyons' workshop which brought me an epiphany about my own brand--she said it should repel people who weren't my audience to begin with. That was liberating, like she gave me permission to be ME. I came up with a brand that I hope fits all of my genres: The relationship is as important as the adventure. And, the adventure can be in a futuristic world, a fantasy world, or our modern world, and the relationship will always be front and center. Speaking of relationships, I just have to take a minute to say publicly that I am falling in love with your character Sam from DAYS OF RECKONING! He is such a great guy and a perfect compliment to Miranda. I look forward to my reading time every day just to see what happens next. Interesting and good point, Heidi. A writer's brand can cross genres, and if the brand is sufficiently strong, the readers will follow. A story outside their preferred genre may not be their favorite, but likely they'll read it, in any case. Good topic to discuss, Heidi, as "branding" seems to be a big thing lately, especially due to social media. To be honest, I cringe a bit at the thought of "branding" myself. I found myself agreeing with much of what she wrote. Perhaps I just hate trying to sell myself, and that's the core of my issue. If I had to say anything, I'd have to say I'm a storyteller. It's all about the story! Hi Heidi! Glad you like Sam! He was fun to write. Actually, most of those characters were fun to write, but Sam provided a nice counterpoint to the unbridled wrath of Miranda. As for my brand, depending on what day it is, I'd have to say either Aberlour or Dalwhinnie... wait! My bad: we're talking about writing. In that case, I'd call it "Action for the Everyperson." Regardless of genre, I hope that my stories are exciting, and I tend to feature regular folks thrown into irregular circumstances. As for the pros / cons of branding yourself, well, I don't know that I have the answer. I say: to each their own, like most things in life. I hate the "hard sell," so I try not to do that to people myself. But I find that it is helpful to be able to give people a snapshot or point of reference for who I am and what I write, especially since I genre-hop. YMMV.